Techradar is reporting that multiple sources have confirmed that the next iteration of Google’s Android operating system after Gingerbread this holiday season will be called Honeycomb. For those not following, all of Androids major OS updates have been accompanied by a codename from some kind of sweet treat, e.g., Cupcake, Donut, Eclair, Froyo, Gingerbread. 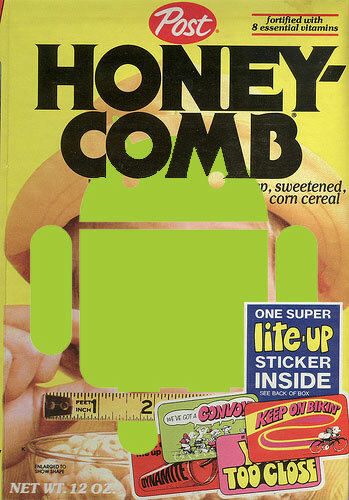 Next letter up is H, and with that we get Honeycomb. Not much more is out about this right now other than it’s name. And since we haven’t even seen gingerbread (3.0 launch yet, or announce a launch, I wouldn’t expect much on this anytime soon. Until then lets enjoy the onslaught of new Android phones and tablets coming before the end of the year!